The Wolf Trekking (Trekking del Lupo) crosses two natural parks, has a development of 70 km and a duration of seven days. It’s about two intact ecosystems frequented by stable wolf packs – that are returned after many years of absence – and by chamois, ibex and lammergeiers as well. the wind my only blanket. with new vigor I will be created. It’s night on the Maritime Alps, the last light was swallowed by the surrounding rocky mountains. We are in the warm of the Ferrino tent and we go back to the emotions given by this wonderful trekking that we are going through, called “Trekking of the Wolf”. Trekking of the Wolf is a ring of fascinating beauty in two natural parks with intact ecosystems: the Park of the Maritime Alps (Piedmont) and the Park of Mercantour (France), both with stable wolfs packs, that came back in the areas after many years of absence. Peculiarity of the itinerary is the possibility to visit, at the start and in the middle, two Fauna Centers specialized in the illustration of life, behavior and history of this extraordinary animal, symbol of wilderness. The first one (scheduled at the start of the trail) is the Entracque Fauna Center “MEN AND WOLVES”, where in addition to the permanent exhibition, you can watch a couple of wolves on a covered structure in a fenced space. The second, in French territory, is the “ALPHA LOUP” Fauna Center in Le Boreon. Again, in addition to a permanent interactive show, the center also offers a variety of wolf observation stations in a large forest area. The trail proposed with the collaboration of the Parco delle Alpi Marittime has a total length of about 75 km and includes the passage on 5 spectacular pass at 2400 m of altitude and follows part of “Royal Hunting Streets” build for the king Vittorio Emanuele II. The landscape met during trekking is unique, always great and exciting with lakes, forests, waterfalls and rich in wildlife. Concrete is the possibility of sighting chamois and bouquetins, but also marmots, ermines and impressive bearded vultures with their silent and solemn flight. The trail does not present any objective difficulty, it does not need mountaineering experience but only aptitude to the mountain path and the necessary workout to overcome the daily altitudes that, in some parts, are of a thousand meters. You can walk it in self-sufficiency with your tent (the bivouac is allowed inside the parks) or using the refuges that you will met at the end of each stage. The necessary equipment is the one for a regular multi-day trekking, with rain covers and good mountain footwear. 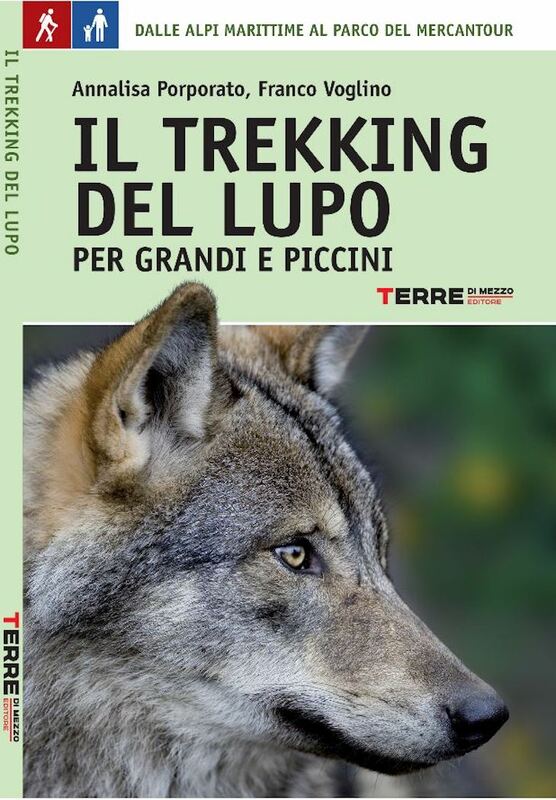 For more information: “Il Trekking del Lupo per grandi e piccini” by Annalisa Porporato and Franco Voglino, Terre di Mezzo Editions.